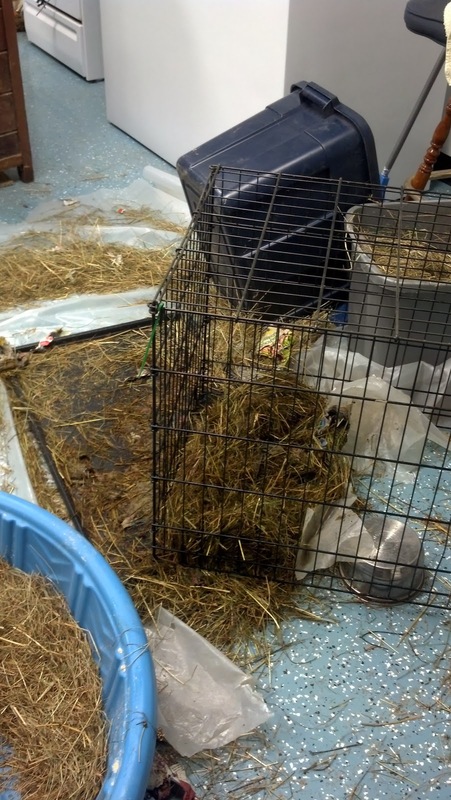 Apparently he was so impatient he began to work the cage toward the feed bag, chewed up the plastic under the crate and made a mess. 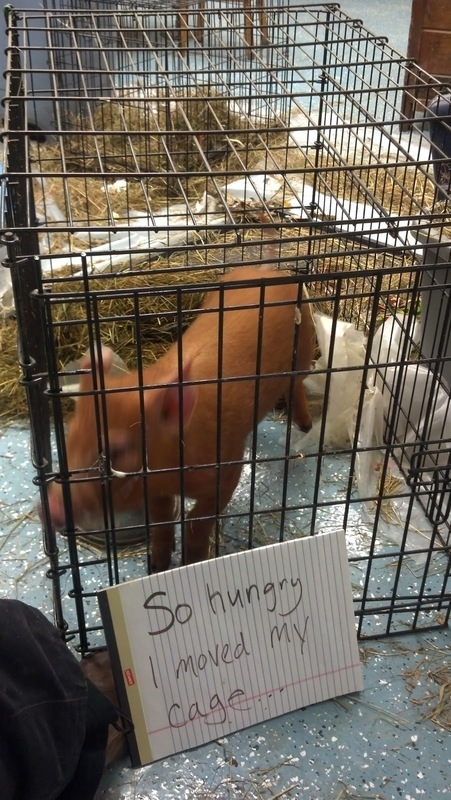 I managed to think of the pig-shaming and grabbed a notepad and marker for a quick sign. It took 6 or 8 tries before I got a photo where the note pad was still upright. He kept rooting and knocking it over. I had to hold my foot against the cage or he would have kept walking it. I guess I’ll have to create a Facebook photo album for pig-shaming photos.